Posted 9:28 pm by lifeinfourthirds & filed under Blog. Beautiful conditions at the coast this weekend ? I decided to try a small experiment using my Kowa kit and Olympus OMD EM-1. I packed my three Kowa MFT lenses (8.5mm, 12mm and 25mm) and also my Kowa telephoto lens with the three focal length adapters (350mm, 500mm, 850mm). 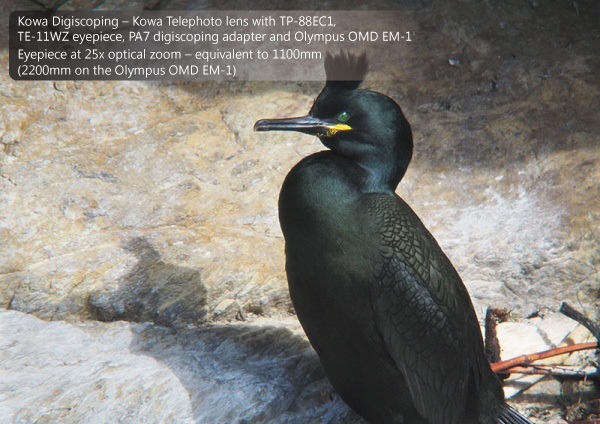 I also packed my digiscoping adapter (PA7) along with the Kowa TP-88EC1 prism unit which converts the Kowa telephoto lens in to a spotting scope along with the Kowa TE-11WZ 25-60x wide angle eyepiece. This sounds like a lot of equipment but actually it is very easy to carry in an average size photo back pack ? 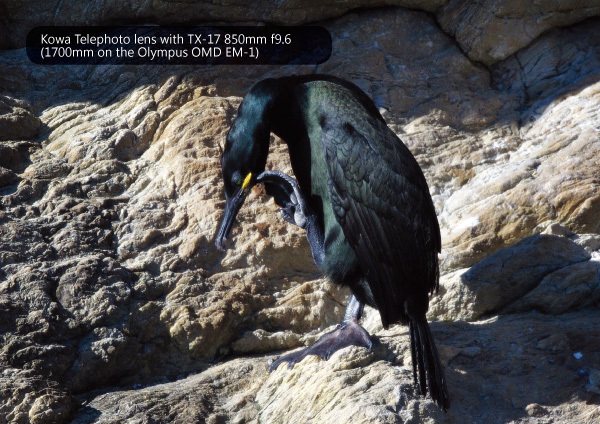 the telephoto lens is ultra portable and light so it suits compact micro four third camera bodies perfectly. 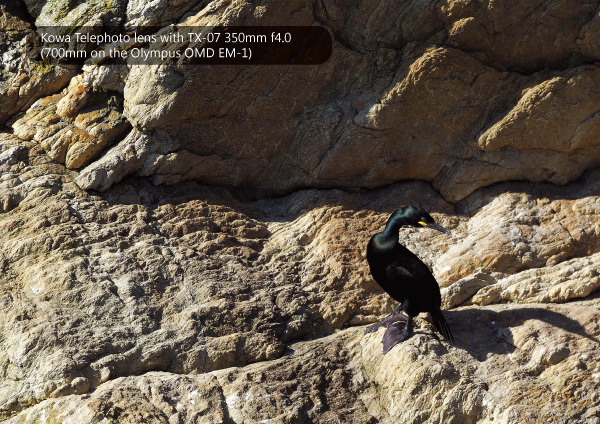 I headed up the coastal path to a favourite spot of mine which has a great view over the cliffs, there is also a nest site for a pair of Shags (large black sea birds very similar to the Cormorant). I wanted to test just what focal lengths and possibilities I have available using the MFT lenses and the telephoto lens. 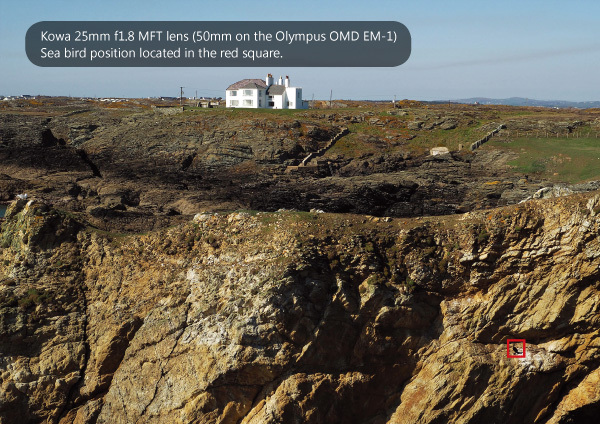 These lenses suit the Olympus OMD EM-1 perfectly, features like built in image stabilisation and focus peaking are great features with these manual focus lenses. Standing in the exact same spot, I photographed the cliff face starting with the 8.5mm lens, then the 12mm and the 25mm. I then switched to the Kowa telephoto lens using the 350mm, 500mm and 850mm adapters. Finally I converted the lens in to a spotting scope and tried digiscoping using the Kowa TE-11WZ eyepiece first at 25x optical zoom and then at 60x. 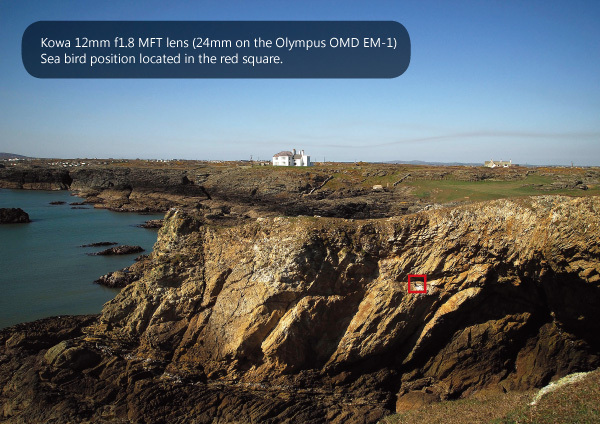 Bearing in mind that the Micro four thirds sensor crop factor doubles the focal length of the optics you are using ? 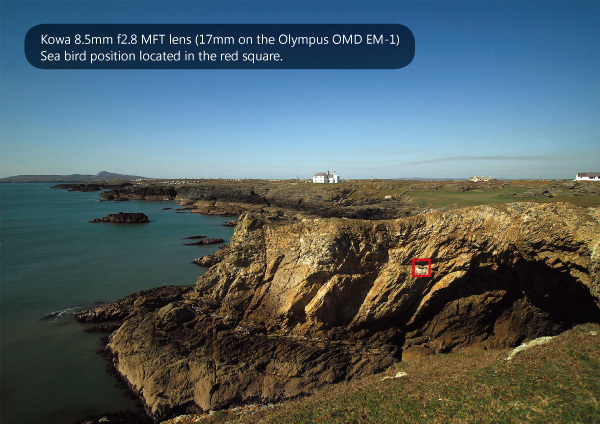 so the 8.5mm lens becomes a 17mm equivalent focal length. 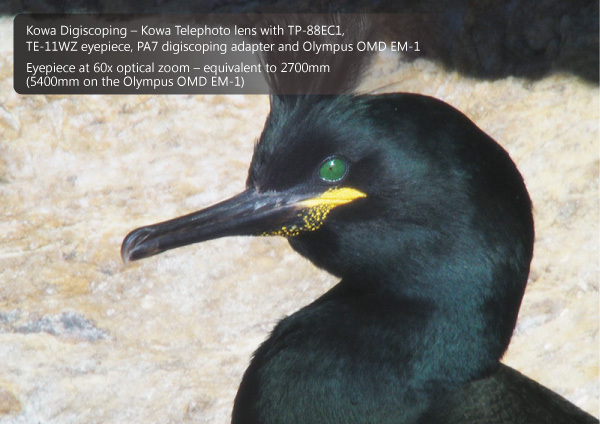 The results below show what focal lengths I have at my disposal using this Kowa set up. On the first three images I have drawn a red square around the location of the Shag on the nest so it is easier to spot at the wider angles. 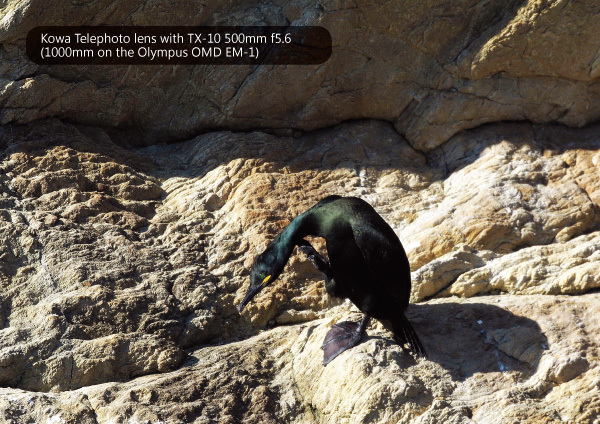 My widest shot began at 17mm (inc the crop factor on the MFT) up to a staggering 5400mm (inc crop factor on the MFT) when I switched to digiscoping.